OCTO MASERATI automatic watch with a stainless steel case. It features a blue lacquered dial executed with 'champlevé' technique and a unique blue leather strap with stainless steel folding buckle. 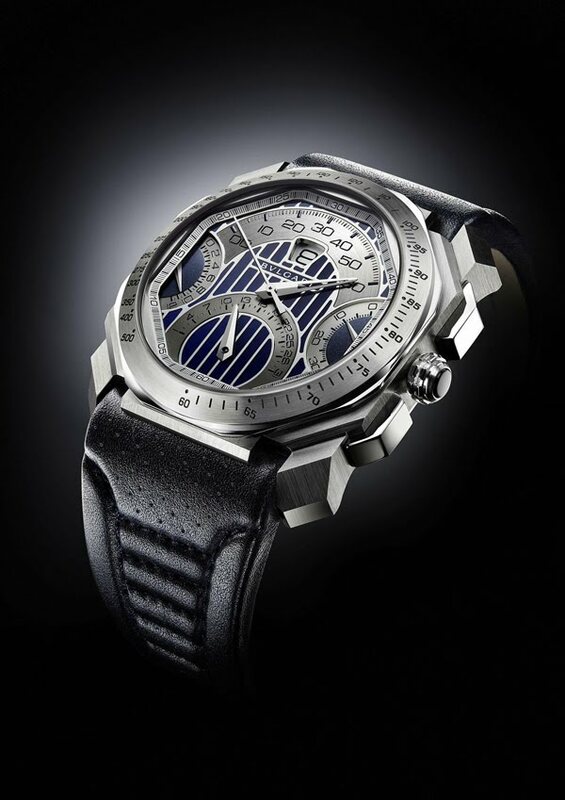 Manufacture quadri-retrograde chronograph movement. SPECIAL EDITION. Refinement, prestige, innovation… and sheer emotion when two of the world’s most prestigious Italian brands combine their founding values. Bulgari and Maserati have chosen to share their ideals and their vision of excellence, now admirably epitomized in the Octo Maserati. This creation combines the expertise inherent in each of the two firms, based on a broad range of shared references: precision, performance, expertise, style and elegance. Their respective and parallel histories have been marked, each in its respective field, by innovations that have modified the very perception and definition of Luxury. Octo Maserati expresses the quintessence of a fully shared vision. 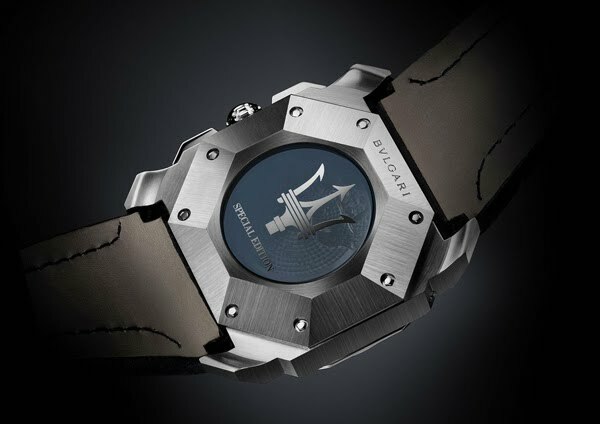 This exclusive creation is issued in a special series bearing the Maserati Trident symbol on its transparent caseback. The Octo Maserati with its harmonious design and perfectly balanced proportion is synonymous with passion of the kind that tolerates no compromise. Mechanical with automatic winding. 38 hour power reserve. Chronograph with retrograde minutes, date and chrono counters.